Skopelos is connected with Volos, Skiathos, and Alonissos with daily ferry routes, which is a cannot-miss-opportunity for you to do island-hopping around the rest Sporades islands. The ferry connection is served by conventional and high-speed boats and you can find relatively cheap tickets for your trip there. During the summer season, Skopelos is also connected with Thessaloniki, Agios Konstantinos and Athens through Evia (Mantoudi, Kymi). There is at least one daily ferry to Skopelos from Volos during the winter. During the summer season, 2 additional daily trips are added. The journey takes less than 3 hours. During summer, there is also a ferry from Thessaloniki to Skopelos running on a daily schedule. The connection is operated usually by high-speed ferries and the trip duration is a bit more than two hours. 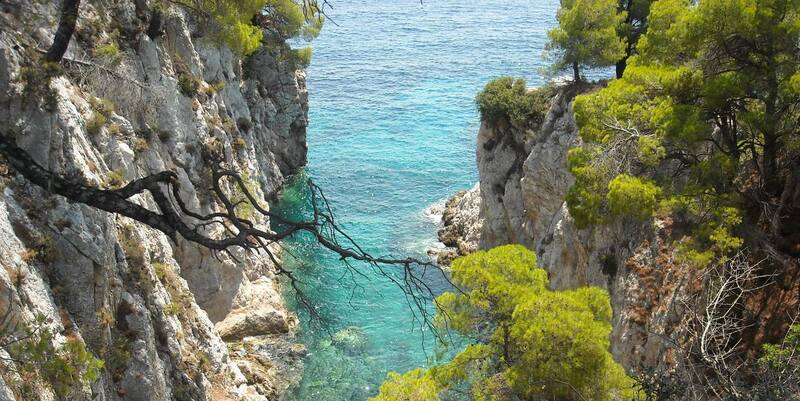 The easiest way to get from Athens to Skopelos is through the ports of Evia i.e. Mantoudi and Kymi. The connection between Skopelos and Evia in winter is with 3 ferries per week, while in the summer the ferry connections are daily. The duration of the trip can reach 4.5 hours, depending on the ferry type. Most of the ferries that reach Skopelos also pass by Skiathos. During summer there are 5-6 ferries per day from Skopelos to Skiathos, while in the winter there are usually one or two daily ferries serving this route.